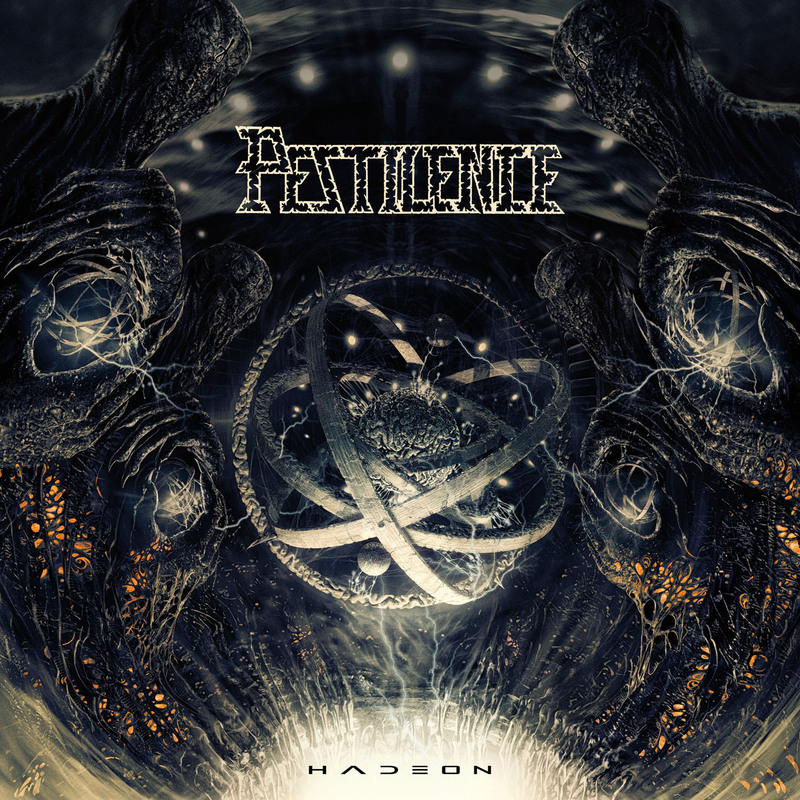 Home » News » Pestilence releases fantastic artwork for “Hadeon” and first single! Pestilence releases fantastic artwork for “Hadeon” and first single! Just before the darkest day of the year Hammerheart Records is extremely proud to show the world the artwork for “Hadeon” by Dutch Death Metal legends Pestilence. It is created by Michal “Xaay” Loranc (Behemoth, Nile, Evocation, Vader, Necrophagist), a very talented Polish graphic designer whom perfectly turned Patrick Mameli’s visions and concept into art! Together with the announcement of the “Hadeon” cover artwork Hammerheart Records releases the first single-track from “Hadeon”, the song “Multi Dimensional”. “Multi Dimensional” is a great appetizer for the album and shows all of Pestilence’s trademarks in one killer song. The perfect mixture of old school and some innovative elements (as one would expect from Pestilence), a song that indeed could have been on a logical follow-up album to the legendary “Testimony of the Ancients” album. Enjoy!